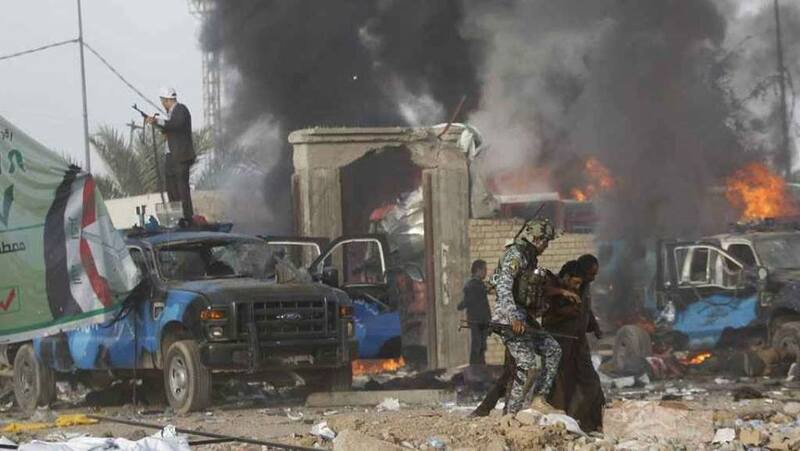 The Syrian War Erupts in Iraq, Ayatollah Sistani Mobilizes Shiites – Continues the advance of Sunni militia toward Baghdad. In the night fighters of the Islamic State of Iraq and the Levant (Isis) have won two cities in the province of Diyala, Sadiyah and Djalaoula in eastern Iraq, and some villages in the mountains Himrine. The guerrillas sunni is accompanied by summary executions of soldiers and civilians. The ONU commission on human rights, Geneva, has reported that one of the episodes reported there is the killing in a road of Mosul to 17 civilians who worked for the police. The spokesman of the ONU High Commissioner for human rights, Rupert Colville, spoke of ‘hundreds of people killed and a thousand injured’, even if there is not a precise budget. For its part, Iran has reiterated its commitment to combat ‘terrorism’ Sunni and not to allow foreign Countries to ‘export terror’ in Iraq. This is what has assured the president Hassan Rohani in a telephone conversation with the Iraqi prime minister, the Shiite Nouri al-Al Maliki. And it is all over the world Iraqi Shiite to mobilise to stop an offensive that is likely to lead to a new oppression by the minority sunni, For more it is guided by the fanatics of Isis: one of the most important representatives of the Shiite clergy, the Grand Ayatollah Ali al-sistani, has asked the people to take up arms in defense of the country, by the people and of the holy places. The representative of the supreme authority’ religious, sheikh Abdul Mahdi to Karbalai, has said during Friday prayers’ that Iraq is in a very serious situation and that the Iraqi people are facing a great challenge and a great danger. Meanwhile, clashes between the army and the militant of Isis close to the city of Baquba, just 60 km from Baghdad. Hundreds of Americans working in the center-north of Iraq were transferred to Baghdad because of the advanced qaedisti militia. He has made known the spokesman of the US Department of State, Jan Psaki. The measure applies in particular to the contractors and employees of companies Usa which operate in air base of Al Balad, 80 kilometers north of the capital.